December 06, 2016 - Taipei Taiwan - GlacialLight, a division of the technology manufacturer, GlacialTech Inc., is pleased to find its environmentally friendly LED lights deployed in myriad applications all over the world. 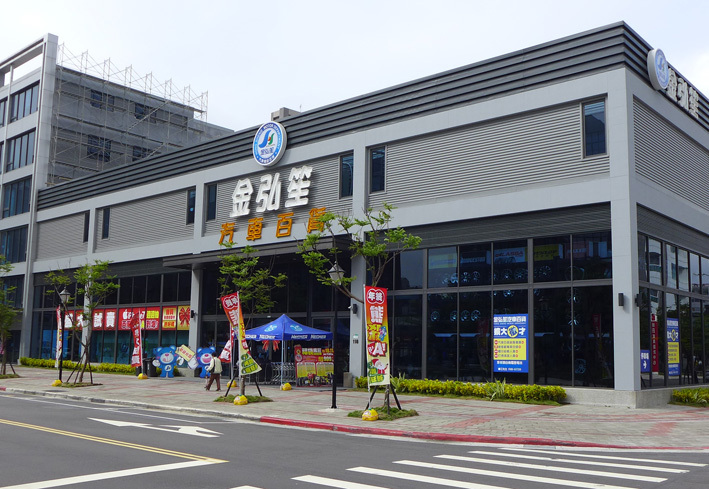 The largest automotive retail store in Taiwan, the new Hong Sheng Motor Department Store opening in Neihu District, Taipei, employed a large selection of GlacialLight’s bay lights, down lights, and flood lights. The wide array of lighting scenarios in this huge building demonstrate the flexibility of GlacialLight’s suite of LED lighting solutions. The varied needs of different indoor and outdoor spaces created a range of unique lighting challenges. GlacialLight’s plethora of LED lighting products offered a broad lineup of customizable solutions to meet these demands. 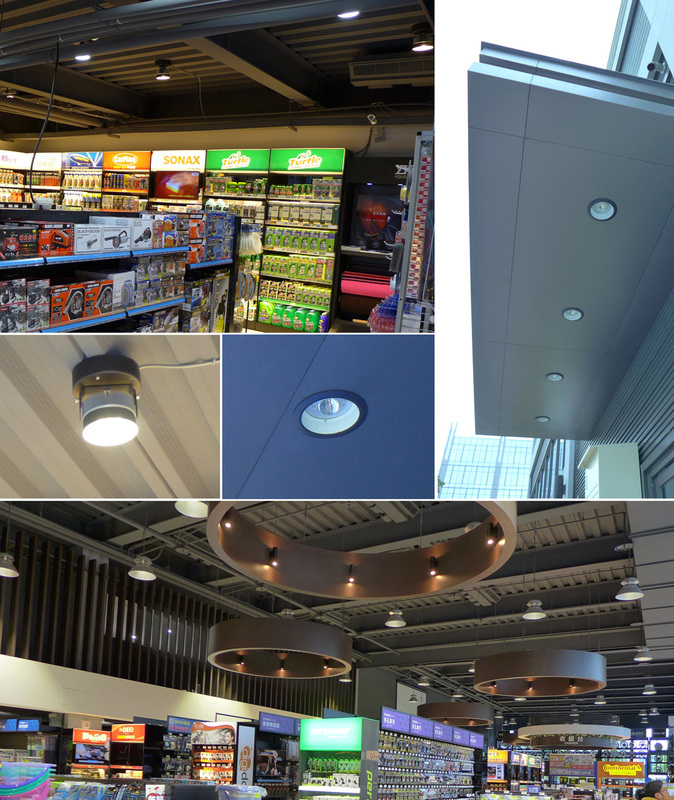 The store chose GlacialLight LED lights for their energy efficiency, aesthetic design, and versatility. Different LED products are uniquely suited for different lighting tasks. GlacialLight’s wide variety of LED solutions allowed planners to optimize the lighting for each and every room. They installed GlacialLight GL-BL60 Bay Lights in the eaves of the main entrance. Decorators chose the GL-BL100 as the main lighting choice for the lobby while using the GL-BL60 for complementary details. GlacialLight’s GL-BL100 provides enough luminous and natural-looking lighting in the lobbies and product display area. The GL-BL60 Bay Light was selected for assisting lobby lighting on lower ceilings and outdoor eaves. The GL-FL35 Flood Light provided bright projection lighting for the window edge area. Finally, the softer brightness of the GL-DL06-IP Down Light was selected for the customer lounge and restrooms; the GL-DL06-SM was chosen for the storage room. GlacialLight is thrilled to see its products making businesses more successful as well as benefiting society at large with longer service lives and better energy performance than traditional lighting solutions. GlacialLight's LED lighting products are more environmentally friendly, emit no harmful UV or IR radiation, and contain no hazardous materials. Our design of LED lighting products is based on three core technologies including electrical design (LED drivers), mechanical design (cooling devices), and optical design (lighting fixtures), respectively performed by GlacialPower, GlacialTech, and GlacialLight in the GlacialTech family. With the three core technologies in hand, GlacialTech has integrated all the resources required for exceptional designs and manufactures excellent LED lighting products which you can trust. GlacialLight, the lighting division of GlacialTech, manufactures LED lighting solutions for indoor/outdoor applications and both residential and commercial uses. As well as having a wide range of finished LED lighting products, GlacialLight also offers its clients the option of customizing products for specific needs. Please visit the company homepage at www.GlacialLight.com or visit us on Facebook at www.facebook.com/GlacialTech/.